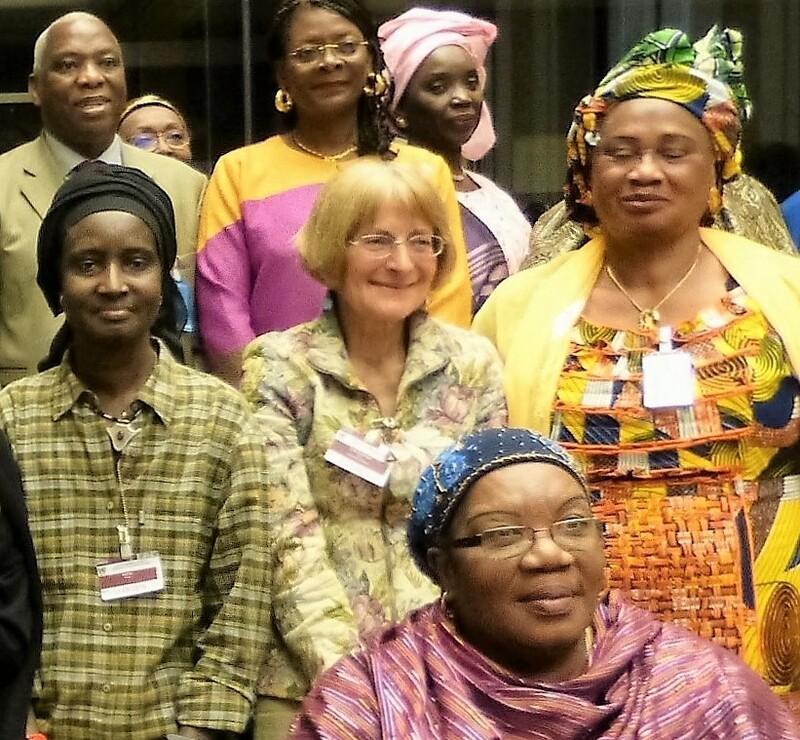 On 10 and 11 May 2016 I attended the Inter-African Committee conference on FGM at the United Nations in Geneva, where I gave a paper. 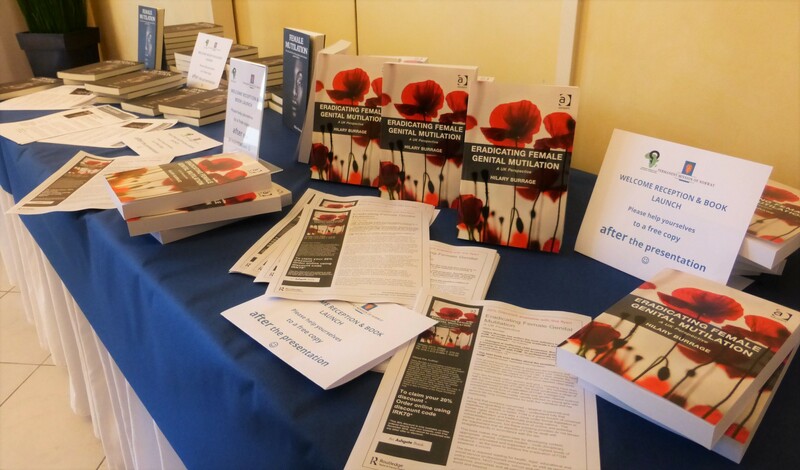 It was a great honour to be invited to present both my books at the IAC conference reception, hosted by HE Steffen Kongstad of the Norwegian Embassy; and I was thrilled that Ambassador Kongstad also very generously arranged to give copies of these books to the guests who joined us. Here’s my short speech given at this, for me unforgettable, event. 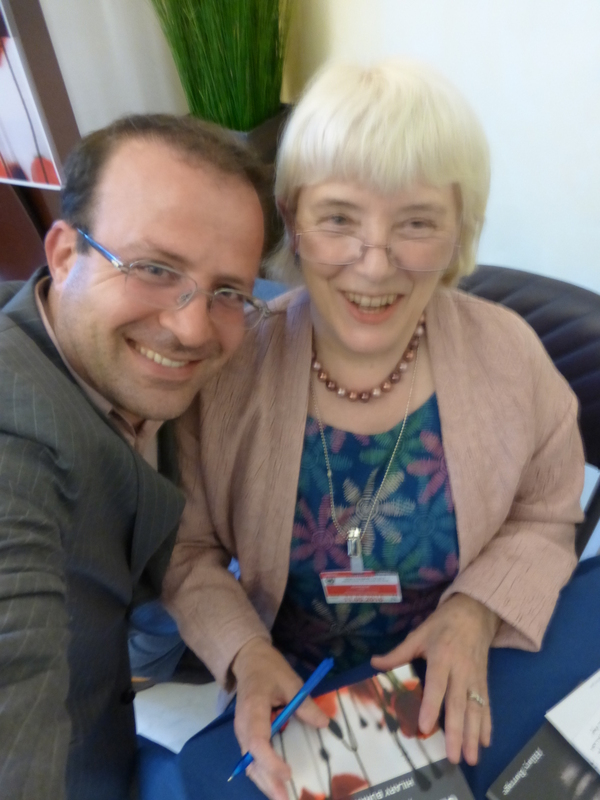 Some photographs of the full event follow below, after this text of my talk about the books. 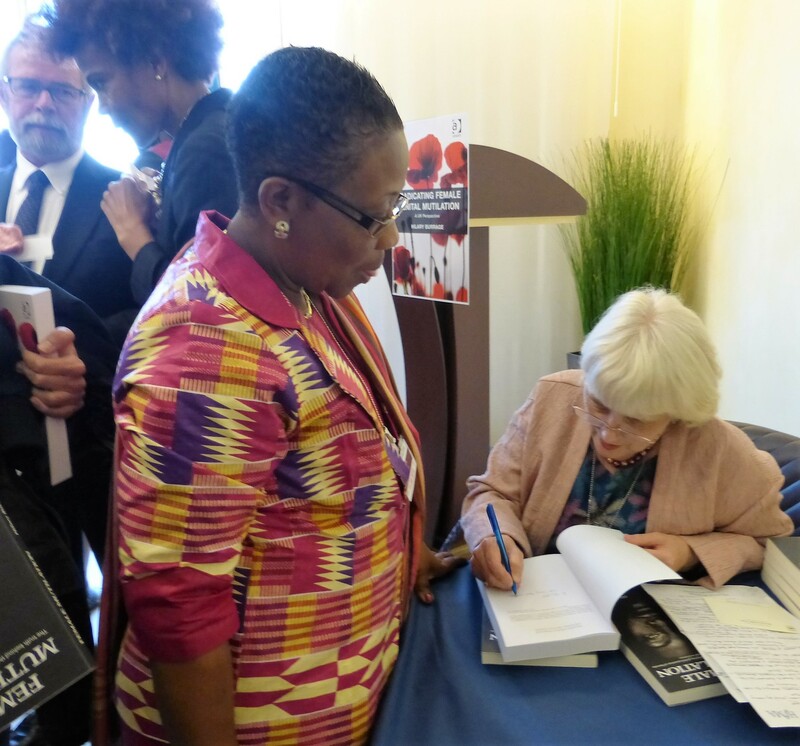 Book launch, 10 May 2016, at the IAC reception, hosted at the United Nations in Geneva by the Norwegian Embassy. Thank you, Ambassador Kongstad, for so very kindly hosting this reception and book-launch. I am truly delighted and honoured to be here. Let me tell you a little about how I came to write my books. It was my mother, a Quaker and member of Amnesty UK, who in the 1980s first told me that what was then called ‘female circumcision’ sometimes happened; and she said it was believed that some women and girls with this condition lived in Britain. So I contacted my MP of that time – who assured me I need not worry, because we’d just passed a law to stop it happening in the UK. Oh, that he had been right! But in the middle 2000s I began to understand that the problem had absolutely not gone away. News of the first few Zero Tolerance to FGM annual global events was being posted on the new internet – well done the IAC, for this great idea! – and that news bothered me a lot. So, having been previously a Senior Lecturer in Health and Social Care with an enduring concern around child abuse, I began researching and writing about FGM. And then somehow I found myself writing two commissioned books. The first book, Eradicating Female Genital Mutilation: A UK Perspective (Ashgate / Routledge, 2015) is a handbook or guide to the practice and to all the disciplines around it. (I called my book ‘a UK perspective’ to make it clear that I am not speaking for people in traditionally practising locations; I just wanted to bring all the aspects of this study together.) I hope the book will help to develop a genuine paradigm for the future study of FGM and of the issues everyone has to face around this topic. As well as trying to bring together all aspects of the study of FGM, my intention is that information, new publications and so forth can be added by everyone to this initial store of knowledge via the website I devised to go alongside the book itself. The second book, Female Mutilation: The truth behind the horrifying global practice of mutilation (New Holland, 2016) is complementary to the first, but takes a very different approach. It comprises largely some 70 personal narratives by people across five continents, some of them survivors, some family members, some community campaigners, some professionals etc., almost all of whom have agreed, via a website I created for the book, to be available to support campaigns against FGM. Jackline from Kenya, a member of the Maasai tribe, was cut when she was 12 and soon after that she discovered she was about to be tricked into becoming a child bride. 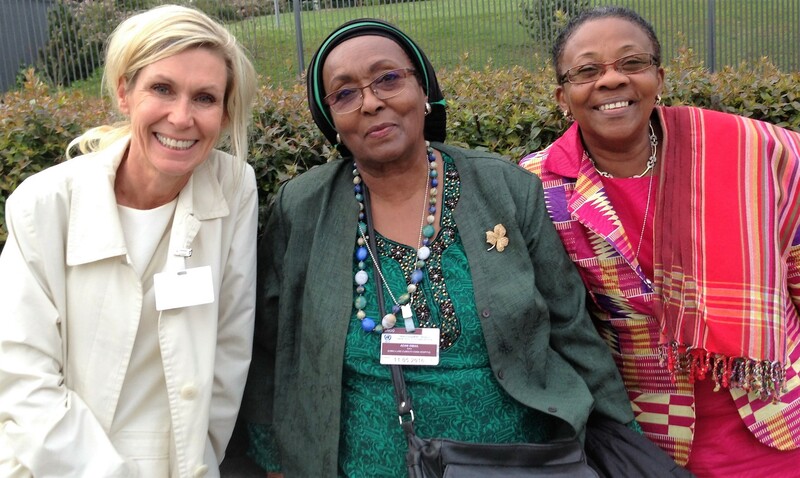 She ran away from home to the Lenkai Christian School from where, since the age of 13, she has campaigned against FGM. Francess (FA) Cole from Sierra Leone experienced FGM aged 11, in the Bondo Bush. The extraordinary story of how she fought to be an independent woman, leaving to live in the USA at 18, is told in her book Distant Sunrise. Karima Amin was cut in Yemen when she was 7, but now also lives in the USA. The first two times the (male) excisor called to inflict the FGM, Karima ran away; so when her mutilator eventually caught his victim he punished her by inflicting additional cutting and pain. Khadija Glba, originally from Sierra Leone, became with her family a displaced person, who ended up via the UN Refugee Programme in Australia. She had FGM aged 9 in Gambia, and is now a director of the campaigning charity NoFGM Australia. And Ms B, from the Yoruba region of West Africa, was cut as an infant. She now lives in the United Kingdom and has endured six decades of wondering how different life might have been without the physical and psychological distress and impediments which FGM unremittingly cause her. 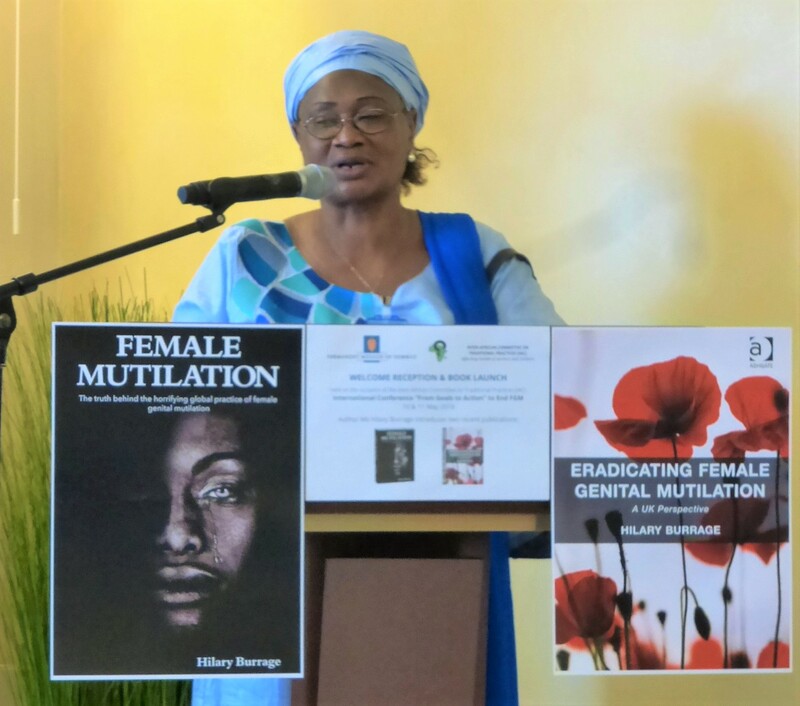 Each of these remarkable women, in her own way, has made valiant attempts to escape aspects of the life which usually follows the experience of FGM. All of them are vehemently opposed to the practice. Their stories demonstrate graphically the importance of refuge and, often, actual asylum, for victims of this vicious crime. But my book is not ‘only’ about the fearful consequences of FGM. It’s also shaped around the theme ‘From Horror to Hope’. I wanted to share too some uplifting stories of how others have worked so hard, to stop this practice and to support those survivors who campaign against it. Samuel Leadismo in Kenya, from the Samburu tribe, met my good friend Sayydah Garrett when she visited on safari from the USA to Kenya. Samuel shared with Sayydah his urgent need to do tackle FGM in his community, so together they set up the Pastoralist Child Foundation, to educate and take forward community action (including Alternative Rites of Passage). 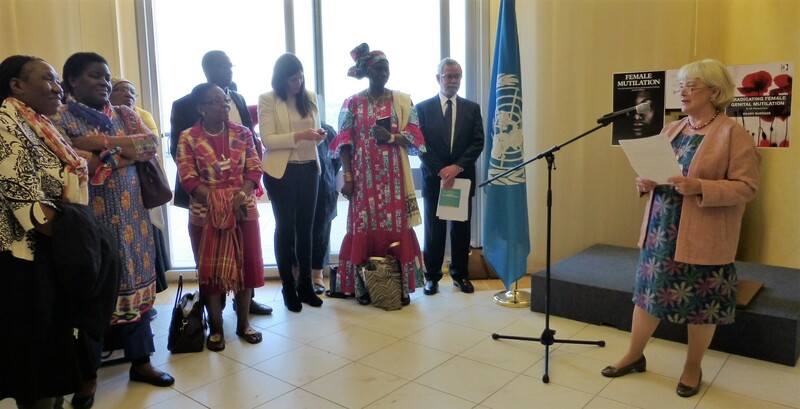 Ahabwe Mugerwa Michael of Uganda, a social worker, set up the Integrated Community Efforts for Development Action Network (ICOD) to stop FGM and address other cruel afflictions such as obstetric fistula and cross-border trafficking, using the powerhouse eg of his barefoot grannies. Kameel Ahmady from Iran, is with us here, and will present his book In the Name of Tradition (related film here) about FGM there tomorrow. Qamar Nassem, who had hoped to travel to join us from Pakistan, bravely leads the Blue Veins organisation which he set up to combat FGM and fight for the human rights of women and others who suffer gender oppression. 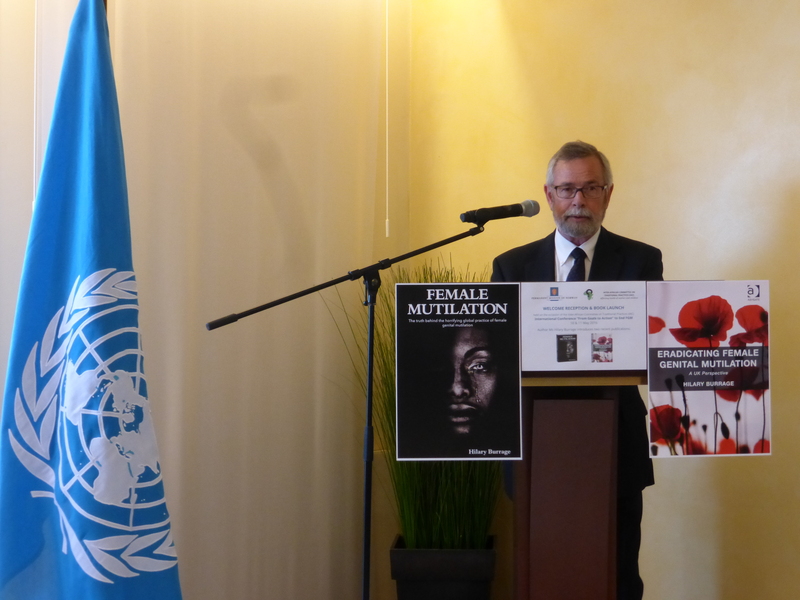 Pierre Foldes is the surgeon in France who researched and repairs the physical damage of FGM, restoring sensation when the women want it, and supporting them psychologically in their experience of transition, if that is what they choose. He and a colleague, Frederique Martz, founded the Institut en Sante Genesique for this purpose. Dexter Dias QC, the British barrister who chairs the United Kingdom Bar Human Rights FGM sub-committee, has been a leading light recommending legal changes to the Office of the High Commissioner for Human Rights, and in achieving some of the legislative changes required for eradicating FGM in the UK. And of course there are many more committed activists and survivors whose stories from the book I might relate; but permit me to mention here only a few more of my narrators, all women with whom I have had the great pleasure and privilege to collaborate closely. Linda Weil-Curiel lives in France and is the stalwart member of the Paris Bar who has obtained so many convictions for FGM and who continues with full force to lobby for the eradication of FGM. Phoebe Abe-Okwonga, a Uganda-born, now London, UK-based, medical general practitioner has set up a Female Genital Mutilation Association Worldwide to address FGM globally, and an open-access FGM clinic in her own practice for any woman who wishes to attend. 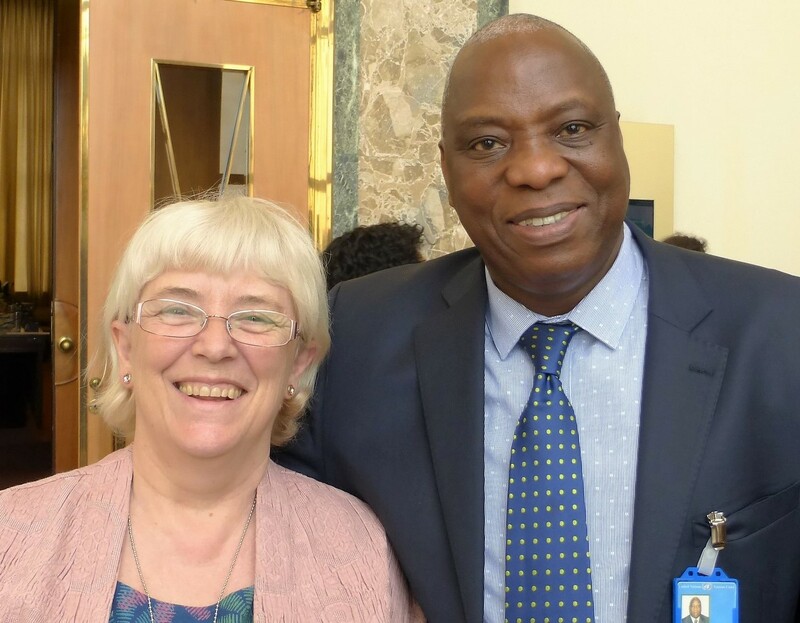 Hazel Barrett of Coventry University in the UK, has led the European REPLACE2 programme to identify the factors which influence the ‘readiness’ of diaspora communities to abandon FGM. 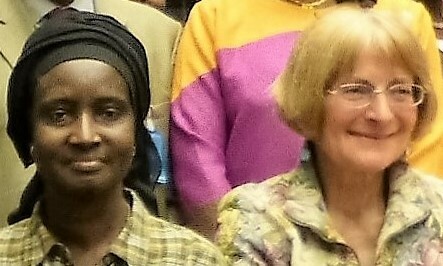 Tobe Levin, that multi-talented American scholar who works in Frankfurt in Germany, and at Harvard (USA) and Oxford (UK) Universities, has created her own book publishing press, UnCUT/VOICES – which has produced stories such as Blood Stains, the account of the survivor Khady Koita of Senegal – to promote wider awareness of FGM via the personal experience of survivors. Maggie O’Kane, the indefatigable London, UK Guardian journalist, has led the way with the new social media revolution: her Guardian Global Media #EndFGM Campaign has already achieved some spectacular denouncements of FGM and has touched many, many young people in different parts of Africa. But as well as the many amazing people in my book, there are others too who must be mentioned tonight, specifically all of you here, the Ambassador, the members of the Inter-African Committee (including Adebisi Adebayo, who organised this conference), and many other distinguished guests and delegates. To every one of you, I want to say THANK YOU for all you do. Whether the story of what you are achieving has been told or not, please believe me that your work is valued and appreciated.